Normally I would use a Jaycar high bass speaker for an O-scale loco such as this however there simply isn’t room to fit one unless I place it in the tender. 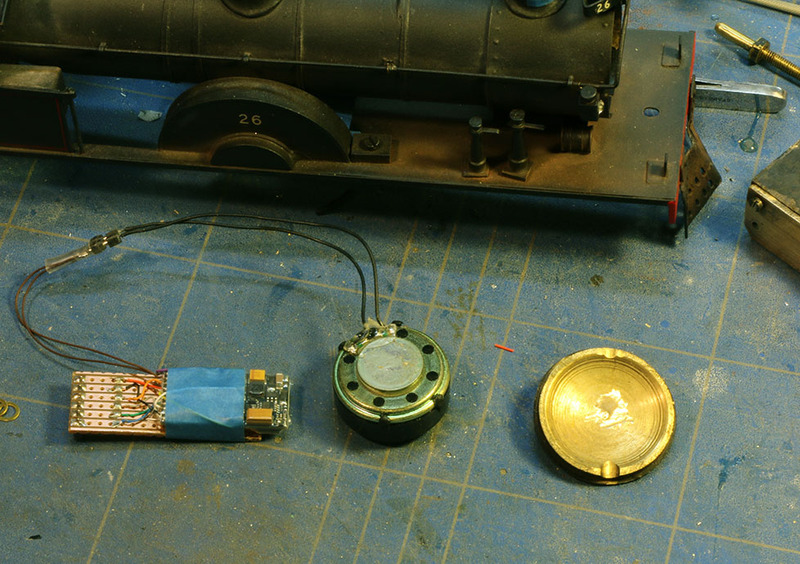 In a choice between putting a smaller speaker into the loco body or a larger one into the tender the smaller speaker won out. I’m reinstalling the speaker that came with the loco into the boiler. Luckily the smoke box door popped off easily so I’m planning to glue the speaker (which already has its own enclosure) to the back of this. That way it will remain accessible in case the owner chooses to upgrade to a larger speaker in the tender later.